In Reply We greatly appreciate the interest of Callahan and Strauss in our recent publication and their constructive comments regarding the critical role of medical imaging in the clinic. 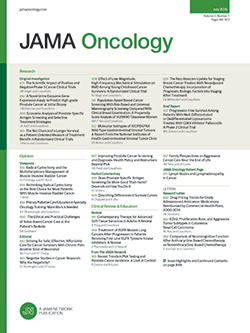 We agree that a lot of efforts have been put into clinical practice by the industry, as well as academia, to guide medical imaging decision making and to improve patient safety, such as a computerized radiology order entry and decision support system,1 appropriate use criteria guidelines, NEMA XR-29 standards, MITA Smart Dose protocols, and the Choosing Wisely campaign. There is no argument that medical imaging such as computed tomography has saved numerous lives by providing clinicians with real-time accurate diagnosis and visualization.